Document control is the management of certain documents and the ability of engineers (or other members of staff) to make changes to them. This is normally very strictly controlled for documents such as technical drawings or manuals. Each company will have their own procedure for document control however they are generally very similar. At AnTech, drawings are given a simple A, B, C revision initially which is peer reviewed. This means the engineers check one another’s drawings and must sign them off before the drawing can go “live” in the system and be seen by other staff members (for example the production team who will be ordering parts and assembling the designs). When the design has been proven, it is moved from the initial (usually prototype) stage to the released stage. Here, documents start from revision RA, RB, RC etc with the capital “R” standing for “Released”. This means the level of document control for such parts is higher. In addition to peer review, any engineer wanting to make a change to a drawing must submit an Engineering Change Notification (ECN) which is then signed off by the Engineering Manager, the Production Manager and the Quality Manager. This process must be followed before any work can take place, once the ECN has been signed off, the engineer is allowed to make changes to the parts specified on the ECN and these are peer reviewed as before. Finally, once the work has been completed the Engineering Manager must check the work against the ECN before the drawings are released. 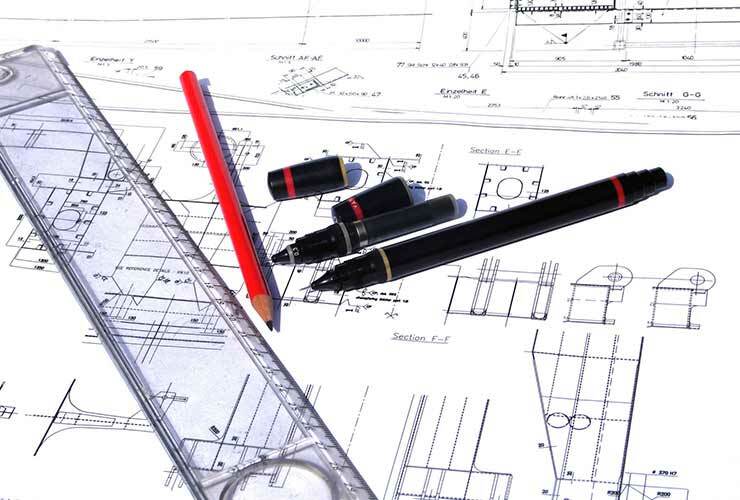 It is essential to have document control on engineering drawings, and other technical documentation for a number of reasons. Firstly, document control is a requirement for many different standards to which AnTech conforms. For example, ISO 9001 requires that companies are able to approve documents for adequacy prior to use, identify changes and prevent obsolete documents from unintended use. By following standards like these, document control ensures that drawings and other technical documentations are checked by someone other than the author meaning that errors are captured, for example a drawing error is picked up before the drawing is sent to the machine shop, saving the part from being manufactured incorrectly. Controlling documents also means that historical changes are captured. As each drawing is taken to a new revision the reason behind these changes is documented. This enables engineers to go back through a design and understand when and why things changed. How has document control changed over time? Traditionally draftsmen would produce drawings by hand and these would be stamped and signed. The original (or master) copy of the drawing was stored away safely and physical copies would be created as per requirement. As technology advanced, the introduction of Computer Aided Design (CAD) meant that drawings could be produced on a computer. At AnTech, CAD drawings were initially printed off, stamped and signed and the master copy was filed away, with the CAD documents (saved on the computer) and a pdf copy of each part were stored on the server using data management software. Nowadays we do not use paper copies at all and we fully utilise computer-based data management with electronic pdfs being signed off within the system. This system has streamlined the design and manufacturing process and ensures we provide the correct products, without any non-conformances for our customers’.